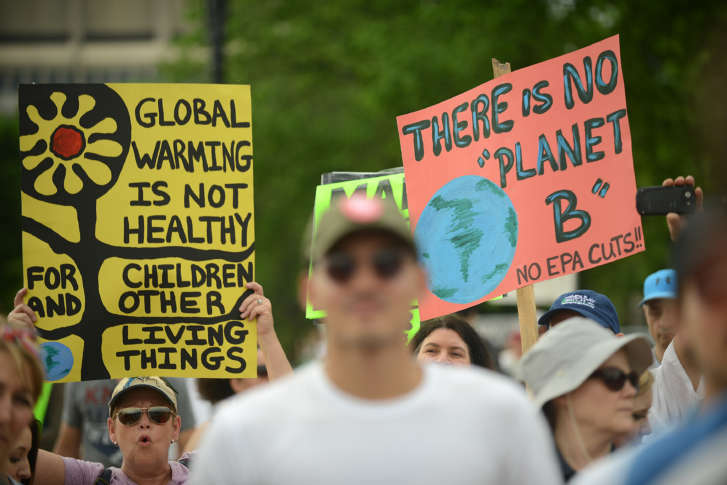 WASHINGTON — People of all ages, in significant numbers, worried about the well-being of the planet and the policies of President Donald Trump, held a climate march that filled Pennsylvania Avenue. The demonstrators walked elbow-to-elbow from curb-to-curb about a mile along the Avenue of Presidents as they took their disputes from the Capitol to the White House. “I’m really upset that our new administration is not acknowledging any sort of climate change,” said Maureen Kiser of Falls Church, a Fairfax County schoolteacher. Beneath bright sunshine and temperatures soaring into the high 80s, marchers floated balloons and carried signs. Images from nature bobbed above the heads of the crowd including pictures of butterflies and sunflowers. 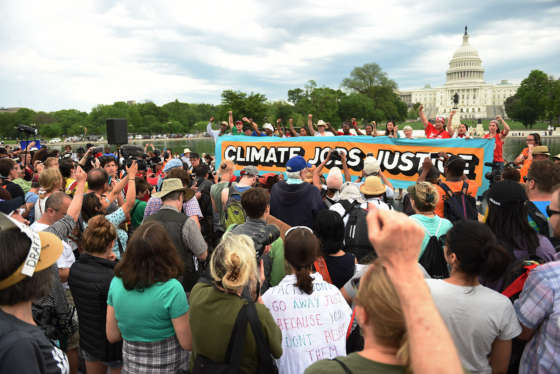 A brass band wearing matching blue T-shirts and green hard hats roused the crowd at 7th and Pennsylvania Avenue Northwest with a pitch-perfect rendition of “This Land is Your Land,” by Woody Guthrie. A visiting British engineer who works in the area of renewable energy saluted the enthusiasm of the marchers. But while Leybourne applauded the march, he said he was also keen on people having an idea of what they can do about climate change on a personal level. “Not have children is one good way to cut down your emissions, reduce your consumption of meat, travel less, change your habits, use less energy,” Leybourne said.